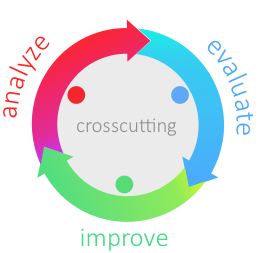 aim42 works iteratively in three phases (analyze, evaluate, improve) supported by crosscutting activities. For each phase, aim42 proposes a number of proven and established practices and patterns. aim42 is free and open-source, completely vendor-agnostic and does not require any specific tool. 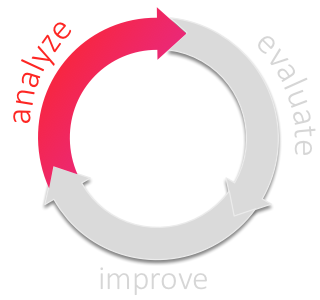 In the analyze-phase you obtain detailed understanding of the system and systematically identify issues, risks within the system and its environment. 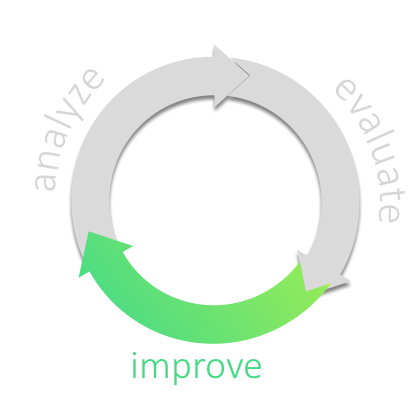 Additionally, you develop ideas for improvements. Evaluate: How grave are the issues? Estimate the value of issues (how serious they might be) and the required effort for potential improvements. Estimation often results in intervalls [high, low]. 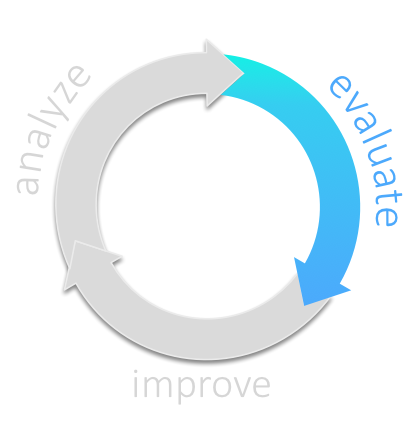 Perform changes in code, architecture, environment or associated processes. Distinguish between short-term (tactical) practices or long-term (strategic) approaches. 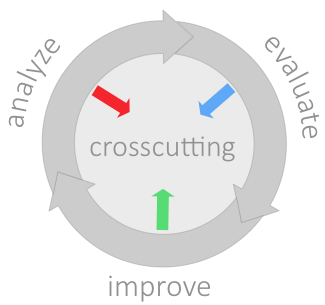 aim42 collects dozens of proven practices and examples of such improvements. Manage relationships between issues and improvements, maintain issue list and improvement backlog. aim42 is an open-source initiative, completely free to use. It’s actively maintained on Github. Our extensive method reference explains about 90 useful practices and patterns in arbitrary details. aim42 is based upon practical experience of numerous committers from dozens of different systems in various industries. We provide some examples.